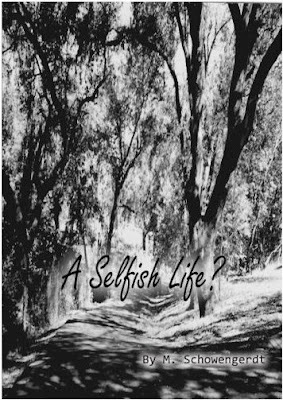 "A Selfish Life?" book event, Saturday June 27th! Come and meet Healdsburg-based author Marisol Schowengerdt as she discusses her new book "A Selfish Life?" at Florey's Books. of nature and give them a child. and family around them must fight their own moral battles. It’s not about judgment... It’s about circumstance. and fun loving friends and family. faced a similar diagnosis as the characters Kevin and Modra. our friends and family who happened to be very supportive.